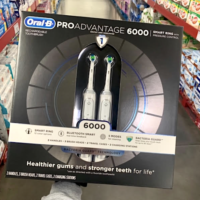 Oral-B 6000 ProAdvantage Electric Toothbrush (2-pack) – $119.98 (regularly $149.98) — just $59.99 per electric toothbrush! This is a sponsored post written by me on behalf of Oral-B and Gillette at Sam’s Club. All opinions are 100% mine.